1.Why would I need a separate Invoicing module, when I can already create Sales Invoices in the Sales Order Processing module? The new Invoicing module produces invoices and credit notes in Sage 200c without using the Stock module. If you do use the Stock module, however, you can add these items to invoices as normal. You can also report on the profitability and use analysis codes for more in-depth reporting. 2. So, as I am already using Sales Order Processing, will I just stick to using this for invoices? You can actually use the new Invoicing module in conjunction with Sales Order Processing. Mix and Match as appropriate. 3. Can I enter negative values on an invoice? Yes, you can show a negative value on an invoice by using a Free Text Line. Add the Free Text Line and enter a negative value as the selling price. Note, however the overall value of the invoice must still be positive. 4. What other time saving features are available now with the Invoicing module? For the speedy typers out there, you will love this one. You can now use some short cut keys to help get your invoices entered in no time. You can also create a new invoice by starting with a copy of an existing invoice. Just select Copy Invoice. You can copy an invoice even if the original was for a different customer - but you can only copy from an Invoice that was created using the Invoicing module. 5. I used to use Sage 50 and I loved the fact that you could make error corrections. We have moved to Sage 200 and would love to have the same facility available. Will I be able to correct transactions now? You will be very happy to hear that Sage 200c includes a new error corrections facility. This was one of the biggest requests for change from Sage 200 users. Now, you can amend Sales Ledger or Purchase Ledger transactions after they have been posted from within the Transaction History screen. A new correct button has been added to the bottom of the Sales and Purchase Ledger transaction history screen. Here, you can easily change the Amount, the Customer or Remove Allocations. You can also correct foreign transactions as well as base currency, however you can only change to a customer/supplier record that is using the same currency. 6. What options do I have to correct a transaction? The Transaction Enquiry screen displays the last 100 transactions by default – this can be changed at the bottom of the list. Reverse – Before you can reverse a transaction, where necessary, you must ensure to remove any allocations first. The program will prompt you to do this if the transaction is allocated when you try to amend it. Correct – Change data in fields such as Customer, Invoice Date, References, Goods Value, Discount, VAT, Nominal Analysis. You cannot make a correction to a transaction that has a query flag against it – you’ll need to remove the query first before continuing. Allocations - allows you to unallocate transactions. 7. Are there any transactions that I am not able to reverse? Transactions created as a result of reversing another transaction. Transactions that have already been reversed or corrected. 8. 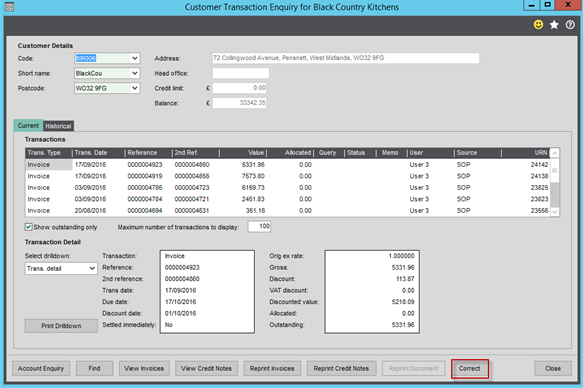 How does the Purchase Requisition module work? This is a very handy feature, particularly for organisations that have multiple people placing requests for items to purchase. Purchase Requisitions sits within the existing Purchase Order Processing module. The idea is that it will help to control/tighten the Purchase Ordering process as well as reduce the need to cancel unauthorised Purchase Orders. You can access all of your own Purchase Requisitions via My Purchase Requisitions workspace. This is also available via the web app – very handy for when you are out and about. We hope you found this blog article useful. 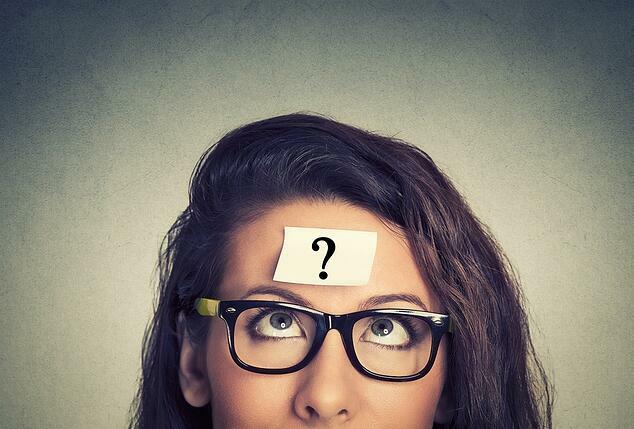 Check back (or subscribe) for our FAQ Part II blog - coming soon!